The frequency of financial crises has increased and we are concerned about how soon to expect the next one. The liberalisation of cross border capital flows has increased the possibility not only of contagion from crises elsewhere but that financial profligacy in one country is easily exported to another. Economic policymakers have a duty to protect their country from contagion, global financial volatility and the domestic adoption of profligate financial practices by asserting policy sovereignty. The global trade union movement can play an important role by fighting for policies that limit the power of finance. Civil society, including trade unions should campaign for economic policies that protect countries from financial crises and contagion. Global trade unions are well placed to co-ordinate these campaigns across countries. Widespread financial liberalisation leads to increased socio-economic insecurity and loss of jobs, factors which weaken the social fabric and create increased hardship for the poor. The rich are able to diversify their investment portfolios and move their wealth abroad if necessary. They can weather the storms of financial instability and crises while the poor are stuck in the eye of the storm. The political and economic power of financial institutions, including many that are ‘too large to fail’ is enormous. Large private corporations and governments are expected to make their policies and practices palatable to the few hundred people operating global financial markets and the major credit ratings agencies. Furthermore, economic policymakers and central bank leaders of many countries are drawn from the large financial institutions or expect to work for one of those institutions in the future. The large and very powerful financial institutions have the ability to capture and intimidate policymakers and regulators. They are able to direct how they are regulated by government and, as the recent crisis shows, they are able to acquire bailouts when they have driven their financial systems into crises. One would expect that the global financial crisis would have undermined the economic and political power of financial institutions. 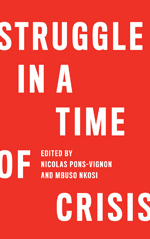 It is necessary to understand the social forces driving the power of financial institutions to understand why they have proved so resilient to financial crises and popular political outcry. The reversal of welfare programmes and state provision and support for pensions, health insurance, unemployment benefits, housing and other necessities drives the power and influence of finance. Demographic factors in many developed countries have a huge impact on global financial markets. Their populations are ageing and want to ensure that they have sufficient investment for their retirement years. They also invest more in health and other insurance products because they are less able to depend on the state. Most of these investments are through institutional investors that have put pressure on large corporations to focus on high short-term returns. As a result, the approach in many of the largest global corporations to investment and employment has changed. There is increasing evidence that economies that are more financialised have had reduced levels of investment in manufacturing. Institutional investors can capture rents and profits in developing countries and they do not have to support long-term investments and decent jobs in their home countries. Furthermore, the ageing populations in developed countries are politically important and influential, particularly during election years. Policymakers in these countries are usually older and share the interests of those who support institutional investors. We live in a world where many states will not increase their spending on social security and welfare services. As sovereign debt problems mount, the rhetoric is to cut fiscal spending, further reduce social services and to increase the retirement age. Financial institutions have profited from the inadequacy of social services and from the insecurity of the aged in the recent past. Widespread programmes to reduce fiscal spending will drive even more people to find private providers for social services and to invest more in private pension funds. Finance, particularly institutional investors, will profit from this increased insecurity. The power of institutional investors stems from the allocation of the capital people pay for social services, retirement investments and risk insurance. They have global financial markets as their playground. Therefore, we cannot expect major changes or ample regulation in these markets unless the social forces that drive the power of finance are addressed. The agenda of the international trade union movement should be more than ever to reverse the reduction of social services and retirement provision by governments. They must fight programmes that cut social spending and increase the insecurity of the poor. Ultimately, the fight should be to decommodify education, health and other social services, as well as pensions, and to make the state the primary provider of these services. Global trade unions should act to counter the ability of financial institutions to capture and intimidate economic policymakers and regulators. They have to convince their members to use their power as consumers of private social services, health insurance and retirement policies to campaign against the destructive behaviour of the institutional investors that sell these services. States with a developmental economic programme should put in place measures to curb the power of financial institutions in their domestic economies and to protect their economies from speculation, turbulence, crises and contagion from the rest of the world. Trade unions have to partner with other social movements to fight for changes in economic policies and for more developmental programmes. As a political constituency, they have to push much harder for more effective regulation of finance. Unless we can wage a global campaign against the uncontrolled power of finance, we face the threat of more financial crises in the future. If the past few decades point to what we can expect, there could be more regular and increasingly severe crises. The workers and the poor will bear a disproportionate amount of the pain associated with them. Seeraj Mohamed is director of the Corporate Strategy and Industrial Development Research Programme (CSID) in the School of Economics and Business Sciences at the University of the Witwatersrand (Wits University). He also teaches at Wits University in the Economics Department and the Global Labour University Masters Programme. 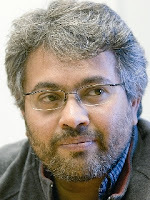 His work is in economic policy research, analysis and development. He has worked on economic and industrial policy for 2 decades.